Summer is ending, everyone is back to school, and the weather is finally starting to cool off. Fall is quickly approaching, and the trees will be painted in shades of bright red and orange before we know it. Let's make the most out of this fall season - 3 Cows and a Cone is a great place to be this fall, and here's why. 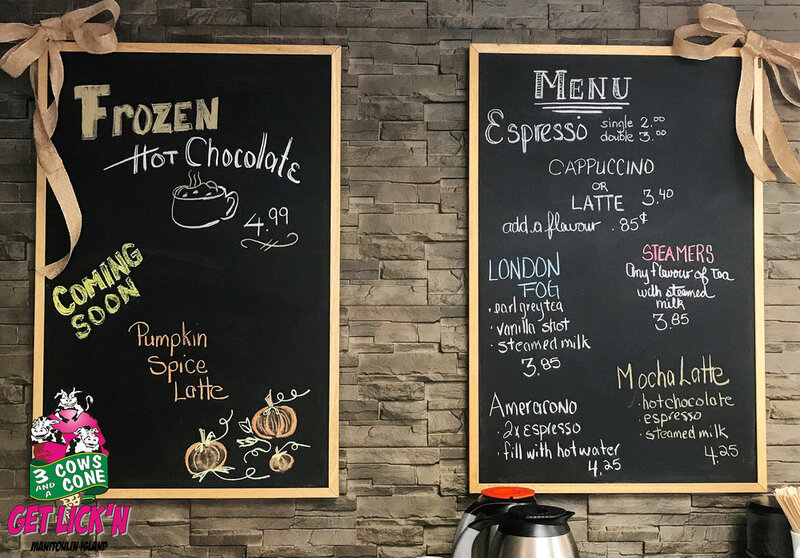 We have recently launched an excellent coffee menu full of delicious lattes and cappuccinos, as well as options including an Americano, London Fog, steamers, and Frozen Hot Chocolate. You can visit our coffee menu here. Our featured specialty coffee of the month for September is the beloved and esteemed Pumpkin Spice Latte. Are you a [pumpkin] seasoned professional, or perhaps you have always wanted to try this popular drink? What's stopping you, get one today! Next time you stop by 3 Cows and a Cone, check out what homemade treats we have on display! We'll be trying out a bunch of fun recipes this fall and winter, so come along for the ride and have a taste of these delicious fresh-baked goods! Have any suggestions or ideas you'd like us to implement? Let us know! Now that the weather is cooling down again, our daily soup is coming back for the season. Delicious recipes like cream of mushroom, minestrone, and beef and barley. Settle down on a crisp fall day with a cup of hot, flavourful soup. Also, you should take advantage of our daily Udderly Good Deal - get a 6" sub, a cup of soup, and a coffee for just $9.99. Or substitute that coffee for a Pepsi drink for $10.99. If you're looking for quick and easy food, 3 Cows and a Cone has your back. We have fresh, hot pizzas on display everyday, including a "special" pizza of the day - Meatlover on Monday, Veggie on Tuesday, Hawaiian on Wednesday, Haweater on Thursday, and Greek on Friday. Grab a slice! If you're not in the mood for pizza, we have fresh hotdogs and sausages out front, ready to be loaded up with all your favourite toppings. Who doesn't like food that's convenient AND delicious? 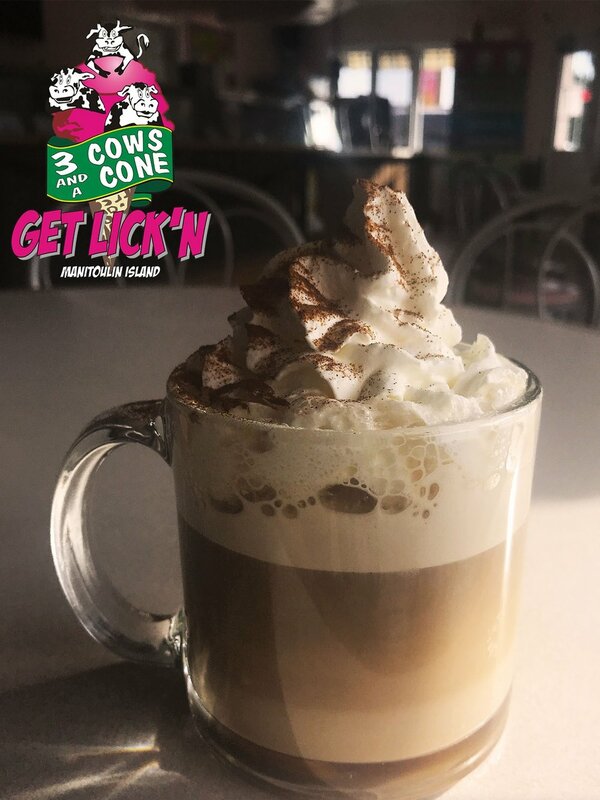 Beat those end-of-summer blues by visiting 3 Cows and a Cone! Our smiling staff and warm environment will have you feeling optimistic about the upcoming winter months. No matter the season, you'll always have a great time with us.